Soon, a group composed of many conventional thinkers in the food and agribusiness industries, calling itself the "Coalition for Sustainable Egg Supply," is expected to release a report on various forms of housing egg-laying hens-including cramming them into barren cages so small they can't even fully open their wings, confining them in larger cages, and keeping them in cage-free environments. A group calling itself the Center for Food Integrity, run by the agribusiness crisis management firm CMA. Its leader is a consultant to campaigns aimed at defeating animal welfare measures, and its board contains long-time opponents of animal welfare improvements, including the National Pork Board, American Farm Bureau, and Burnbrae Farms (one of Canada's largest egg producers, exposed some time ago for letting its birds suffer in battery cages even as its workers were smashing the heads of chicks and then throwing them still alive into plastic garbage bags to suffocate). Some major egg producers that use cage confinement and that vocally oppose the move toward better treatment of the birds. These include Michael Foods, shown in undercover investigations to have left live hens confined in cages with dead birds, and hens caught in cage wires unable to escape, and Sparboe Farms, which campaigned against minimum requirements of care for laying hens even while most of its fellow large egg producers supported such standards. The Egg Farmers of Canada and Egg Farmers of Ontario, which advocate confining hens in cages. McDonald's USA, which has claimed that it is unsure which housing method is best for animals, despite McDonald's in Europe and Australia embracing 100 percent free-range eggs. University representatives who specifically favor cage confinement (including two who've written battery cage confinement standards in the past, and one of whom has testified that among the biggest concerns with a measure to give hens more room was that it "will ban the use of conventional cages" and prevent "producers from adopting enriched cages"). 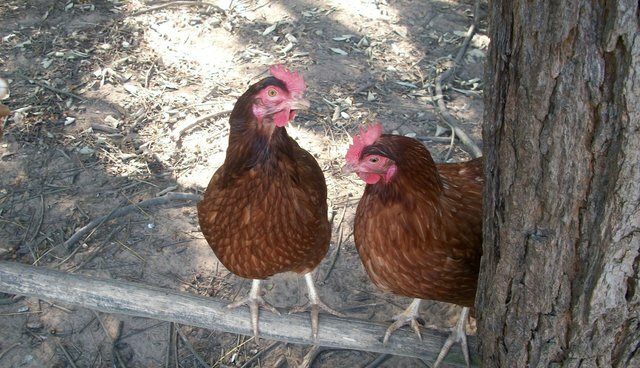 In releasing preliminary results on the studies, the coalition appeared to provide very little emphasis on hens' behavioral freedoms, and how attention to such needs improves their welfare. The Coalition didn't even report on any of the indicators that likely would have favored cage-free systems, such as fearfulness, bone strength, trapping-related injuries, comfort of the birds at resting and nesting, and dust-bathing duration, for example. Because cage-free systems vary greatly, the more important research questions to ask might have been: what makes the top cage-free farms perform so well, what can we learn from them, and what can they teach the rest of the industry? How can producers make this the best system, in order to meet the demand from their customers and from the marketplace? Of course, the Coalition is expected to correctly report that no system is perfect. That's been a common argument from the pig industry in defending gestation crates, and we're bound to see the members of this committee trot it out here as well. In any event, animal farming is on a clear path toward a cage-free future: Major food companies-including Burger King, Starbucks, Unilever, Whole Foods, Marriott, Heinz, Nestle, and Sodexo-have committed to using 100 percent cage-free eggs. Many others (e.g. IHOP, Denny's, Carl's Jr., Hardee's, Sonic, Royal Caribbean Cruise Lines, Carnival Cruise Lines, Dunkin' Brands, and Compass Group) also use cage-free eggs. Ten U.S. states have passed laws to ban various forms of farm animal cage confinement. And in Europe, producers are ripping out the larger cages they'd previously installed and replacing them with cage-free systems. U.S. producers would be wise to learn from that example, and even though enriched colony housing is an improvement for hen welfare over the conventional battery cage, why install a new system and renovate it again in a few years while the market continues moving decidedly toward cage-free? The thousands of farmers already raising animals without cages know that these systems work, and they are responding to their conscience and also to the stirring of consumers that this is what they want, at affordable prices. With so many companies moving against confinement cages for pigs, and the veal industry almost entirely eliminating crate confinement, cage confinement of hens is likely to be the last battleground of intensive confinement in American agriculture. This report from industry actors should be seen for what it is – a stacked deck designed to maintain the caging of hens, and not the kind of thing one would expect of a sector that's looking ahead and seeking to align its housing practices with public concerns about animal well-being.